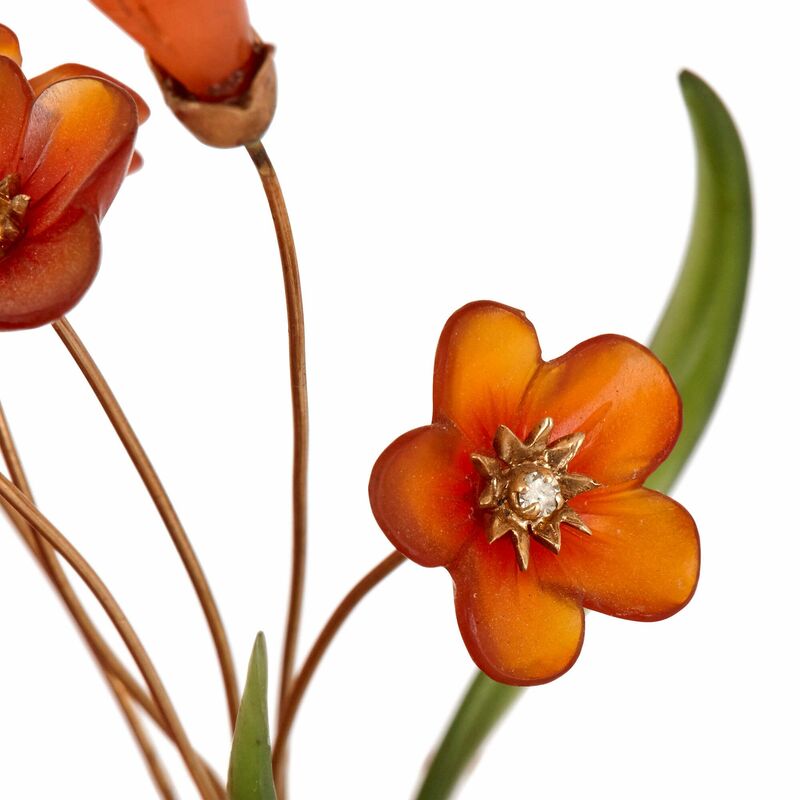 This stunning, precious flower model replicates the exquisite work of Karl Faberge, one of the most important makers of fine objects and jewellery of all time. Famed jeweller Karl Faberge is perhaps best-known for the Imperial Easter Eggs he produced for the Russian court, but he and his company also designed a number of other exquisite pieces. 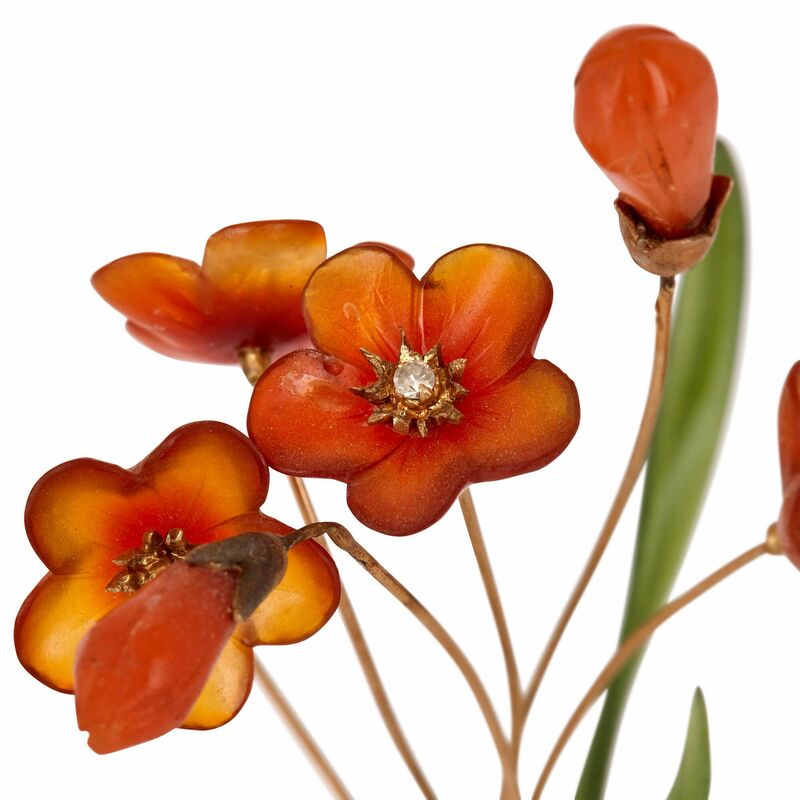 Chief among these was the series of hardstone flower models, like the present piece, which he began producing from the 1880s for a number of important clients across Europe and America. 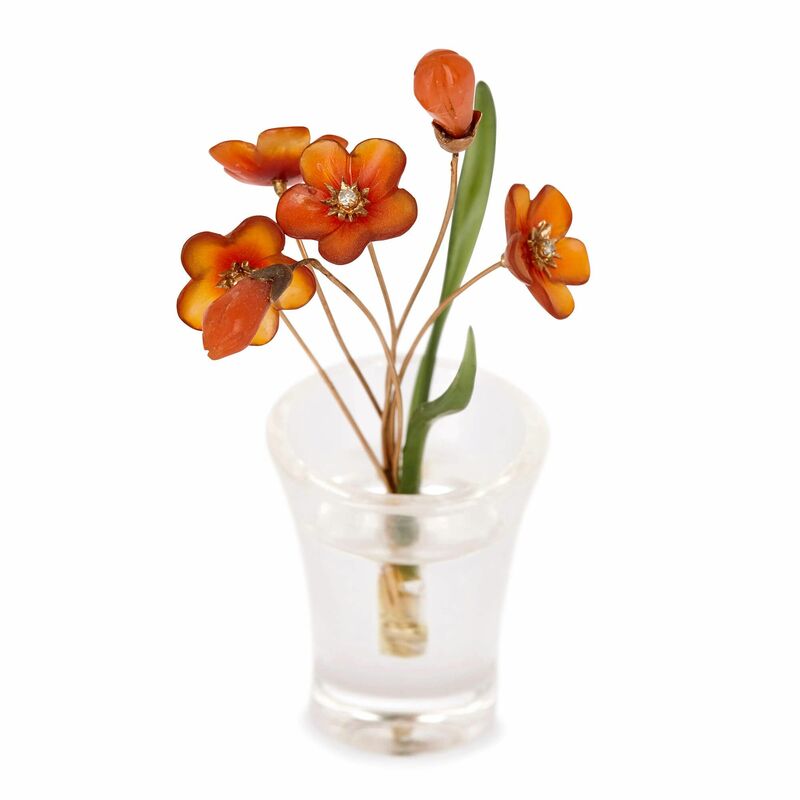 Faberge hardstone flowers were beautifully-crafted, startlingly naturalistic models of small flowers, often with gold stems, nephrite leaves and rock crystal bases (rock crystal was used to give the appearance of a vase filled with water). 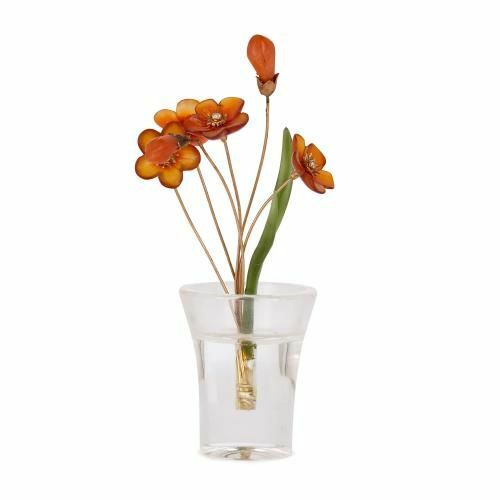 They were enormously popular in Russia, giving a nod both to the long tradition of Russian lapidary craft, and to the fashion among Russia's elite for European flowers. 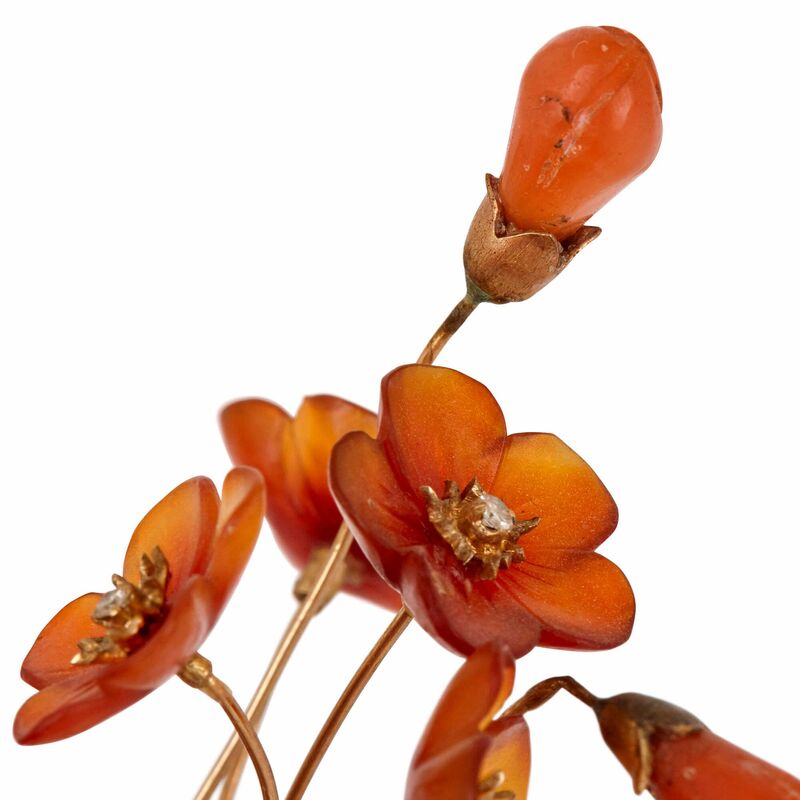 The present flower study is modelled in the Faberge style, with hardstone flower petals and nephrite jade leaves extending from solid gold stems. 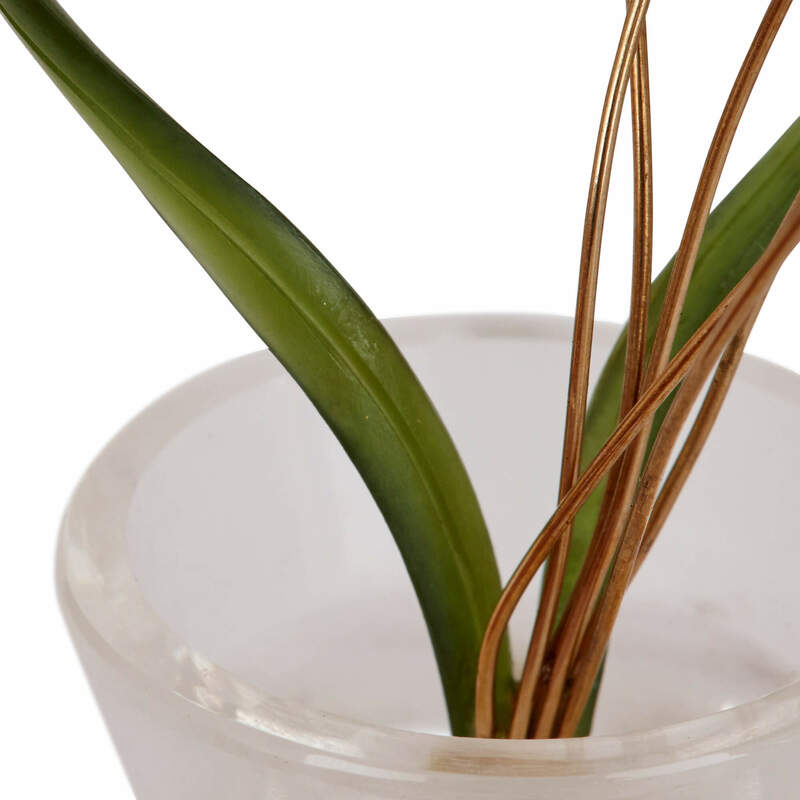 The plants sit in a cylindrical trompe l'oeil rock crystal vase.